2003 Polo de Haas, Kees Wieringa e.a. Lemniscaat, recorded in Musiccentre Vredenburg Utrecht, 14-02-1988. Horizon, recorded in Musiccentre Vredenburg Utrecht, 10-04-1988. Soloduivelsdans I, recorded in Musiccentre Vredenburg Utrecht, 25-04-1991. Soloduivelsdans II, recorded in St Aeghten Chapel, Amersfoort, 16-11-1991. 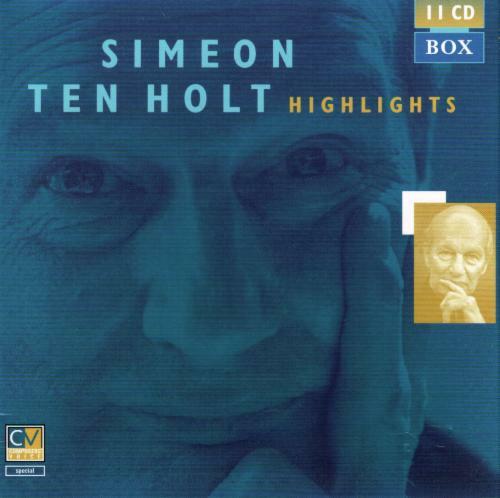 Soloduivelsdans III, recorded in Musiccentre Vredenburg Utrecht, 15/16-06-1998. 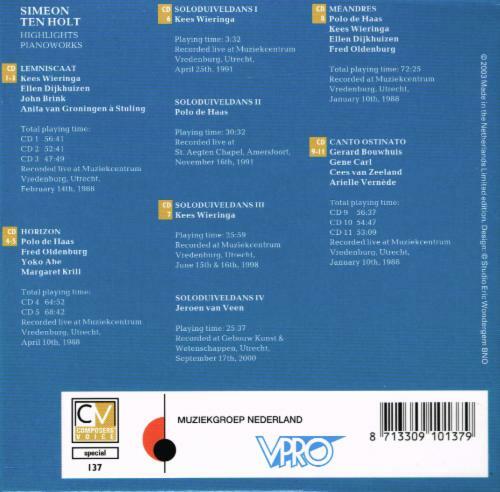 Soloduivelsdans IV, recorded in Building of Art and Science, Utrecht, 17-09-2000. Méandres, recorded in Musiccentre Vredenburg Utrecht, 10-01-1988. Canto Ostinato, recorded in Musiccentre Vredenburg Utrecht, 10-01-1988.